Punta Cana is home to some of the best resorts and restaurants in the world. 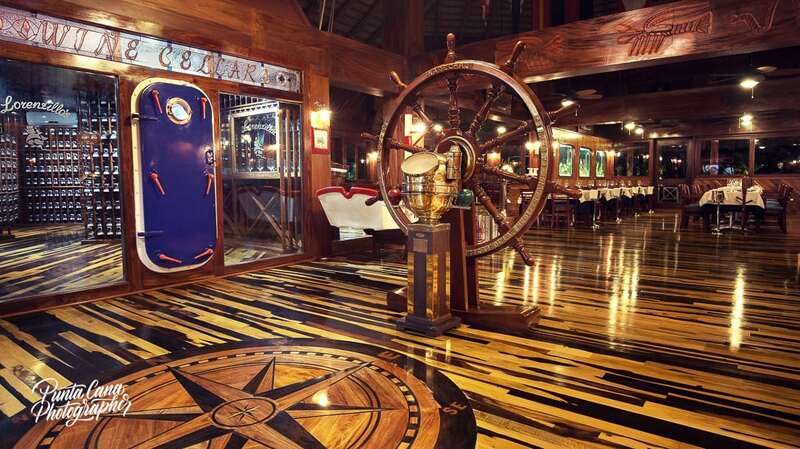 The resorts are lovely and have delicious restaurants for you to enjoy during your stay. But, what about restaurants outside of the hotel? Surely you will want to venture little ways from the resort to get a real taste of scenic Punta Cana! There are so many fantastic places to eat here, and we couldn’t help but list our personal favorites for you and your fiance to try when you arrive! Read on for our top five favorite romantic restaurants in Punta Cana! 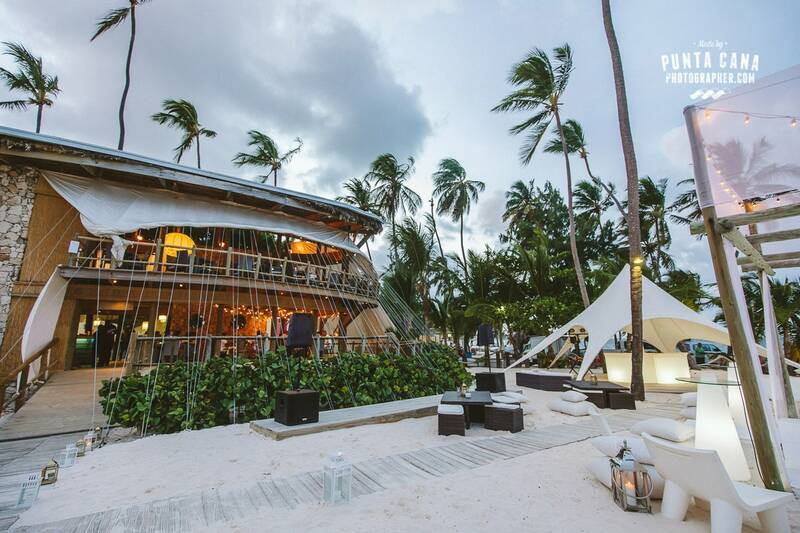 The best restaurant in Punta Cana with a high rating from everyone (including us! ): Passion By Martin Berasategui at Paradisus Punta Cana. Passion is romantic, elegant, and worth every penny! The glamorous decor and mood lighting help create the perfect romantic atmosphere for a bride and groom to be. The Mediterranean dishes are to die for, and their tasting menu is incredible. Each dish is paired with a complementing wine and presented beautifully by the staff. Also, they will accommodate your food allergies! Do you have a seafood or nut allergy? What about sensitivity to gluten? Don’t worry because they have it covered! Stunning, romantic, breathtaking, these are just a few words that we would use to describe this incredible restaurant. It is truly spectacular. The scenic view of the ocean and palm trees are what destination wedding dreams are made of. We aren’t exaggerating! The use of wood and stone is unlike anything else we’ve seen in the area. We highly recommend this restaurant to all our brides. If you do go, we recommend the Lobster and Mojitos! They taste great, and combined with the lovely dining area; it’s a recipe for the perfect romantic dinner. This indoor restaurant is lovely if you are looking for somewhere romantic with a varied menu. They serve Caribbean food, sushi, fruits and vegetables, and even pizza! It’s perfect if one or both of you are a picky eater, or if you can’t decide what style cuisine you want that night. Everything tastes wonderful. The service is excellent, the meals are presented beautifully, and the dim lighting help create the romantic ambiance that you are looking for while on site for your destination wedding! We highly recommend the stewed goat! No, you read that correctly. It doesn’t sound romantic, but the stewed goat was terrific! Located right on the pristine turquoise waters of the Caribbean sea, the La Yola Restaurant is not just romantic; it’s fun and full of Caribbean charm! The open-air restaurant is decorated with wicker basket type tables and chairs, a grass roof, and white linen curtains; it’s actually really cool looking! It has a real island feel to it. In the end, isn’t that why you came to the Caribbean? If you get the chance to go here, try the Dominican Coconut Dessert, it is delicious and one of the many reasons we like eating here. Lorenzillo’s is another excellent option for a romantic dinner for two! The dark wood, white tablecloths, and dining tables with rails over the water help create a magnificent romantic Caribbean dining experience. One of the cool things about this place is that they have the lobsters swimming in a shallow boat inside the restaurant for you to see. Speaking of lobster, we highly recommend the surf and turf meal. It’s excellent, and the seafood here is always fresh and delicious. If you’re still hungry for dessert try the Key Lime Pie, it’s mouthwatering. These restaurants we listed are excellent because they are all different though all romantic. We know many people who don’t like seafood but still want a romantic Caribbean dining experience. If you are one of those people, don’t worry because you can have that! Seafood is a big thing here, but there are tasty alternatives! If you enjoy seafood or have food allergies, then these restaurants are perfect too! That’s one of the great things about Punta Cana; there’s something here for everyone. We hope you enjoyed our list of romantic restaurants! If you are looking to have the full experience of going out in Punta Cana you can visit ORO Night Club after your romantic dinner!